It’s good. It passes the time well, it is just a little stressful, in bigger levels. But all in all, it’s a good app. Take your pick: Boring or Frustrating...or $ I’ll echo what everyone else has said, it’s a fun game but very repetitive if you don’t want to spend the money. This isn’t really a “free” game. You beat the initial levels fast but instead of getting harder the levels become impossible. Impossible that is, without spending gems, gems which you don’t earn enough so have to buy. So it’s not really a free game. And by impossible I don’t mean ridiculously hard, I literally mean impossible. I’ve gotten it absolutely perfect, with every upgrade you could buy with “coins” and not even been halfway to beating a level. And this was in restaurants I already had to pay gems to buy. You earn coins as you play, you only earn gems as you level up. You have to play to level up. But since you can’t beat the level the only way to play is to play the same levels over and over and over and over again. BORING! Or you could try to beat the level you can’t beat, over and over and over and over again. FRUSTRATING! So how much $$ would this cost you? The amount of gems to buy 1 restaurant would run you $2-$3. Then similar to beat the levels of that restaurant. $$$ They do try and make it seem like you have a chance at getting gems. They offer challenges. Spend 14 gems (about the equivalent of 2 level ups) to enter a challenge that will net you 30 gems. Except you’ll spent the other 26 gems on upgrades you need to pass the levels of the challenge. Because, yep, you guessed it, a perfect round will not win the level without upgrades that cost you gems. I’d rather buy a game for $3-$5 than be nickled and dimed every time I play. NO THANKS! I think that this game is very fun to play. It really does help me with my attention span and it can be a relaxing activity. Overall, the game is fun to play but um the gem situation really gets on my nerve. Deleting the app soon most likely. This game is so fun to play, even when you get upgrades. I think everybody should play this game. Got to go play it now, BYE!!!! 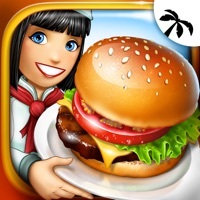 This a good game with good Quality and very hard working skills I get that opportunity to do whatever we want when we cook upgrade everything this game is good! It’s pretty hard but I love the game every ! !''!'!!!!!!!!!!!!! I love the Challenging levels! By my favorite game now! Omg! I love this game so much!! It was so much! Like I love the restaurants! 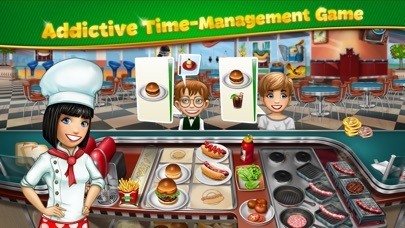 This game is a ripoff.At first my customers were not waiting long enough so I upgraded to a tv 3 TIMES and they are not even waiting longer but taking less time to wait., Also, I need more tips in the game, and it feels like not enough people are giving me tips.SO MAKE IT WORK!! !I do not recommend this.And wherz the kasino???????????? It is a very good game but it’s giving my finger and arm cramps. So me you they should slow it down a bit. The game is off the charts amazing. It’s challenging and overall GREAT. I really recommend this game. I loved it a lot! I think it inspires people to actually do work but in a fun way, I love the different levels and all the creativity, Keep it up guys! This is a very good game, the only thing I would say would be that you need so many gems and it’s hard to earn them. I play this game a lot because of how enjoyable it is but the gems always become an issue. I really like this game. It’s addictive and keeps you busy. 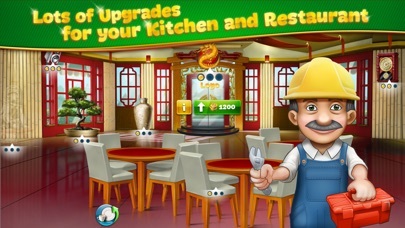 Each new restaurant brings a new challenge which I really like. However, it seems a bit unfair that there’s only one way to earn gems and the cost of upgrading items and the environments is definitely not cool. This game is really great except for that gem thing. 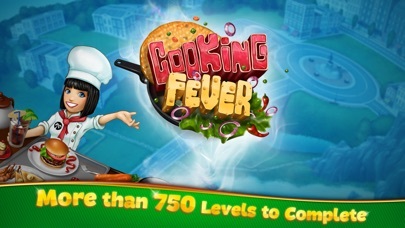 Cooking fever is a very good game! I just got to level fourty. I want to restart the game cause I made a big mistake! I always come back playing to this game. I enjoy this game so much it is very addicting! I think this because the challenges are so hard on the hire levels. It’s amazing! In the beginning. 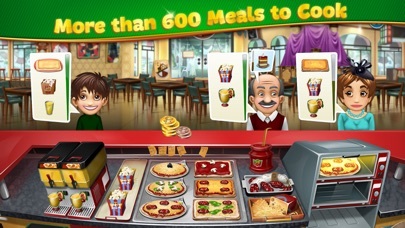 I loved this until I got to the next restaurant that’s when I realized that you NEEDED to have gems which you CAN’T get. I tried to get gems in the casino but after wasting my money on that a million times I didn’t get anything 1 time I got 15 gems but not any more you can’t get anything from the casino you just waste your money on it. I suggest making it easier for you to get gems because you need them for everything. Please consider my suggestion because I think you will get much better rates. You can’t play for long with out having to pay for diamonds so you can get upgrades. I can not imagine how much money one would have to spend to finish this stupid game. It’s a shame because the mechanics are well thought out, better than most games like this, developer ruined it by being greedy.